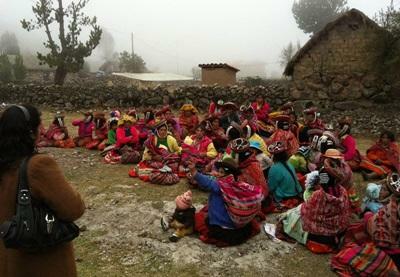 Projects Abroad works closely with the local authorities in the Cusco area. They run an integral food security programme with nutritional, early stimulation and care activities in order to overcome early childhood development problems and support local families in the rural communities, who have been affected by malnutrition and who suffer from nutritional deficiencies. Volunteers should speak intermediate Spanish, but no other experience is needed, so you can get involved as part of a gap year, career break or extended holiday. Malnutrition rates in Peru have long been a source of concern, with nearly a third of Peruvian children living in rural areas currently suffering from chronic malnutrition. 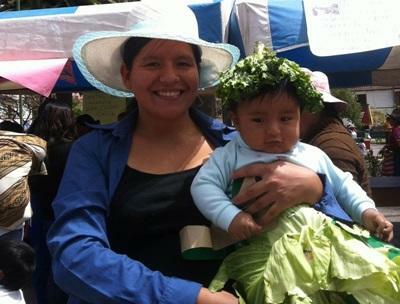 In 2010 the province of Cusco had the fourth highest proportion of children under 5 suffering from it in Peru. As a volunteer on this placement, you will work with the local authorities. 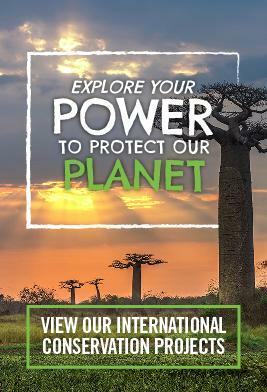 Your work will focus on providing education and support in order to help overcome the ever growing problem of malnutrition and nutritional deficiencies, lack of early childhood development and overall care conditions for children between birth and 5 years old. You will also help ensure food security for families with few economic resources. 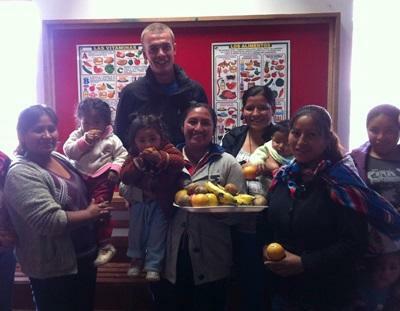 Through cooperation with the local municipality, the communities, the local health administration and Peruvian nutritionists and nurses, this volunteer programme aims to alleviate malnourishment by improving nutritional awareness and knowledge and also provide Projects Abroad volunteers with valuable first-hand experience in nutritional work in a developing country. As a volunteer you will work alongside local nurses, focusing on the issues of malnutrition and food insecurity in local communities. Your work will be varied and you may also help with awareness campaigns as well as developing educational materials. The areas where we work are very diverse and each present a unique set of challenges. In conjunction with partner staff, Projects Abroad Peru has developed sets of educational materials suitable to each community. Although we work mostly in capacity building with parents, we aim to specifically target the primary infancy group of children aged from 0 – 6. Research shows that this is the key age group to work with to improve mental capacity and nutrition. Projects Abroad volunteers may have the opportunity to take on three roles within the nutritional programme, mainly in the rural areas within the district. The majority of your time will be spent doing house-to-house visits during the mornings and preparing and executing workshops in the afternoons. Here, integral roles will include improving the stimulation of children, and developing the intake of healthy food in families identified as being especially vulnerable through workshops and activities, in conjunction with partner staff. In the rural communities, volunteers' roles will consist of visits including assisting in workshops with partner staff, and distributing nutritious food, as well as educational materials. The simple act of providing nutrient-rich foods such as eggs and fruit, which the community is unable to afford, has an especially important immediate impact on children. The second role Projects Abroad volunteers will be involved in is capacity building and empowerment. Nutrition volunteers will expand the workshops that volunteers with specialised nutritional knowledge currently provide for children ages 10 - 16. Projects Abroad Peru also aims to further develop the regular workshops held with local specialists, whose knowledge of Quechua is vital in communicating with the parents, many of whom are illiterate and barely speak Spanish. The workshops typically target high-risk groups, such as young mothers and/or those living in poverty. Nutritional workshops will focus on micronutrient and vitamin intake, good hygiene practices and will also provide dietary guidelines for pregnant women and children of all ages, including the critical period of exclusive breastfeeding. In the longer term, the educational materials that we provide will enable the communities to be more aware of the factors involved in living a healthy life, improving the lives for them and their children in a sustainable manner; all this in coordination with the local health centre and the integral nutritional programme. The third role Projects Abroad volunteers may be involved in is nutritional research. This will depend on the volunteers’ experience with nutrition or statistics. Examples of tasks that volunteers could be involved in is identifying children with specific nutrient disorders and developing materials to target these particular deficiencies or measuring the progress of the programs using data taken by the Peruvian Ministry of Health. Current problems are typically iron and protein deficiencies that can lead to stunting, amongst other issues. Through this statistical work, Projects Abroad Peru will be able to develop a long-term sustainable intervention strategy; measuring which methods are the most effective and what impact various services have on the health of the communities. Volunteers will also take part in building and maintaining eco-gardens in these communities. The extent to which volunteers will be able to work in each of the areas will depend on their Spanish speaking abilities and needs of our partner organisations. Those with less Spanish will work with more focus on statistical work, development of culturally relevant interactive educational materials and work with children aged 0 – 6, as opposed to leading and assisting in workshops. All volunteer work is undertaken with the full cooperation of the partner organisations. The involvement of the local community is vital to increase participation rates, and to the overall success of the project. Additionally, the plan is designed to be not only sustainable, but also transferable. Successful parts will be transferable to other communities within the region in the future.